Positive depth control assures exact hole depth. Black oxide finish on cold rolled steel. 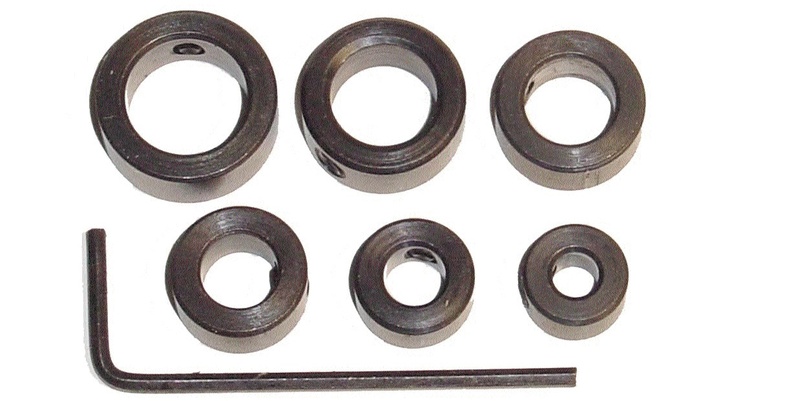 Set includes hex wrench and 1 each: 3/16”, 1/4”, 5/16”, 3/8”, 7/16”, and 1/2” diameter collars.